Along with their new rabbit-eared companion, Hajime and Yue are ready to challenge one of the world’s most perilous dungeons: the labyrinth of Miledi Reisen. As one of the ancient Liberators, Miledi boasted tremendous power, and her sadistic, trap-riddled lair won’t go down easy. Inside its confines, Hajime and company find themselves unable to use any of their magic–but he won’t back down from the challenge. No matter what stands in his way, Hajime will fight his way back home to Earth! 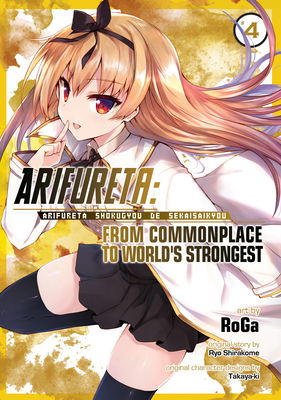 RoGa is a Japanese manga artist best known for the manga adaptation of Arifureta: FromCommonplace to World’s Strongest.